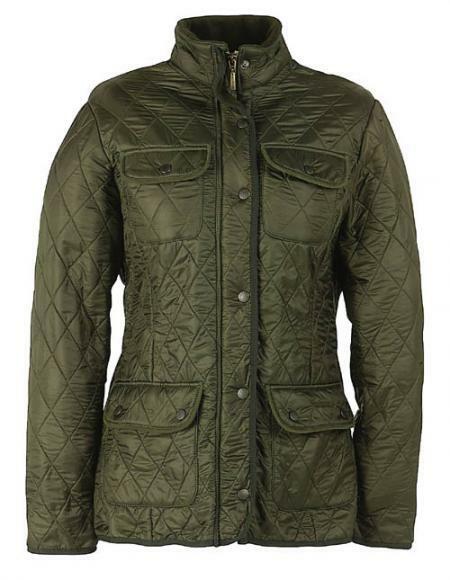 The Barbour Ladies Utility Polarquilt Jacket from Barbour is extra warm with a fleece lined collar and lining. The jacket has a front zip as well as press stud fastening to keep the wind out! As with most Barbour Utility jacket styles this ladies Utility jacket has 4 useful pockets. The Barbour Ladies Utility Polarquilt Jacket is machine washable and is available in olive green or black, make your choice of colour from the pull down menu below. The length of the jacket is 27.5-28.5 inches (69.5-72cm). Make your choice of dress size from the pull down menu below. This jacket is now discontinued.SALE!